There are a few tricks to making the perfect cup of coffee, even from the convenience of your own home. So, you do not have to go to your favourite Starbucks to get a nice cup. True coffee is made with the finest coffee beans and a little bit of knowledge. So, if you wish to learn how to make to perfect cup of coffee, be sure to read our information below! You cannot make the perfect cup of coffee without some fresh coffee beans. However, most people don’t know where to find them. There are many places where you can buy fresh coffee beans, but the best place is still your local roaster. There are not that many roasters around anymore, so if you do have one in your neighbourhood, you are good to go! Another place where you could obtain your coffee beans is at the supermarket, although it is necessary to be careful with coffee beans obtained from a larger store. Most coffee beans sold at supermarkets will be put in giant display bins, which makes them susceptible to oxygen and bright light. These two factors could ruin the flavour of the coffee bean, so only choose a supermarket who seems to be passionate about selling fresh coffee beans. When you buy fresh coffee beans, please make sure they are stored in vacuum-sealed bags. The beans must also be stored in a premium location, away from bright light and too much sun. These are the main things to consider when you head out for a coffee bean hunt. Store Coffee Beans the Right Way. Once you have obtained the right selection of coffee beans from a roaster or from your local supermarket, it is essential to store your coffee beans right at home too! Not storing your coffee beans how they should be stored can still affect the superior flavour of your coffee. So, make sure you consider the following guidelines when you have obtained your coffee beans from the store. The advised storage options for your coffee beans are glass canning jars and ceramic storage crocks with a gasket seal. You could also obtain a special vacuum machine, which enables you to store your beans in another vacuumed bag; this is often the best option, because glass canning jars and ceramic storage crocks may still have some air inside. Also, make sure you never refrigerate your quality coffee beans. 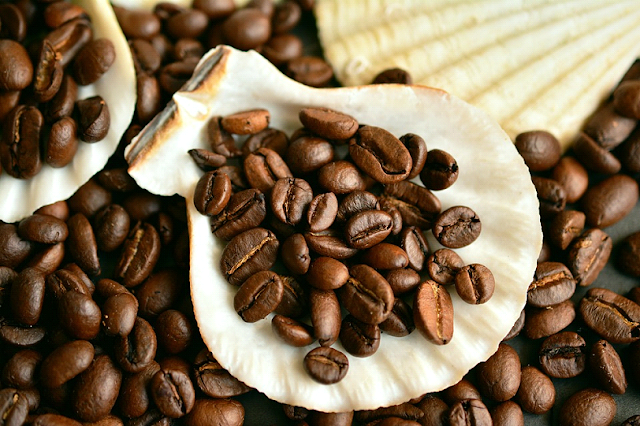 When coffee beans get refrigerated, they can take up moisture and even odours from foods within your fridge. It is also advised to stay away from freezing methods, since this could also have a negative impact on the flavour of your favourite coffee beans. Dark roasted coffee beans are especially vulnerable, so while you might get away with it with a lighter blend, dark roasted coffee beans can get completely ruined by refrigerating or freezing. To ensure your coffee beans stay fresh, it is also recommended not to buy too large quantities. Ideally, you want to get a new batch every week and keep them at room temperature. The higher quality coffee beans may cost you a little more, especially 100% pure Arabica beans. If this is too expensive for you, you may consider Robusta beans, but they are known for their harsh flavour. Still, Robusta beans are also known for their higher caffeine content. When you need to buy a selection of coffee for a true coffee expert, it is better to stay away from the Robusta coffee beans. The flavour of Robusta coffee beans is simply too harsh for a coffee lover, so you could go for a blend in the mid-range or the more expensive Arabica beans. Also, do not be afraid to experiment and go beyond the brands you are used to. It is easy to buy what you know, because then you are certain you get value for your money. Still, by checking the country of origin and the region, you can deduct much about the coffee bean selection you are about to purchase. Therefore, true coffee experts should venture out of their comfort zone from time to time and buy a blend they are not necessarily familiar with yet! When you grind coffee beans, you can be sure that some of the flavour of those coffee beans will get lost; this is one of the reasons why it is important to be familiar with grinding methods and how to retain the most amount of flavour in your coffee beans. If you don’t mind investing in something that could make the perfect cup of coffee every time, you could consider a more expensive burr mill; this from brands such as Rancilio and Zassenhaus. The more expensive burr mills are known to retain lots of flavour from the original coffee bean, so these types of mills are often preferred by coffee fanatics! Of course, you could choose some of the more affordable grinders from Braun or Bodum. These grinders don’t do a bad job, but there are some qualities you must look for in these grinders to ensure you get a premium cup of coffee out of it! When choosing a mid-range coffee grinder, make sure they contain a mill with the ability to rock. If the mill can rock during the grinding process, it creates even particles. The particles are slightly smaller than your run-off-the-mill coffee grinders too, which ensures better flavour! Even though it might be the last thing you think about when making coffee, but your water is important! Water containing too much chlorine or other substances found in tap water can ruin a good brew, so choose some bottled spring water instead! There are so many cheap coffee filters available nowadays. Regular coffee drinkers tend to buy them quite easily, but they are not as good for an excellent cup of coffee than you might think! If you do have your heart set on brewing with a more affordable filter, check for the oxygen-bleached or dioxin-free paper filters. Coffee drinkers who do not mind spending a little extra can go for a gold-plated filter. These filters are recommended by expert, who claim that these types of filters are especially made to maximise flavour. However, there is a downside to these types of filters, since they can let some of the sediment through when you have a fine blend. Making the perfect cup of coffee is buying quality ingredients and tools, not as much about the skills you have at your disposal. Anyone can make a good cup of coffee, providing they have the right coffee beans, water and filter at hand! So, if you believe you cannot make a good cup of coffee to save your life, think again! Simply invest in some better coffee beans, a grinder and a filter, and see how a horrible brew gets much better! 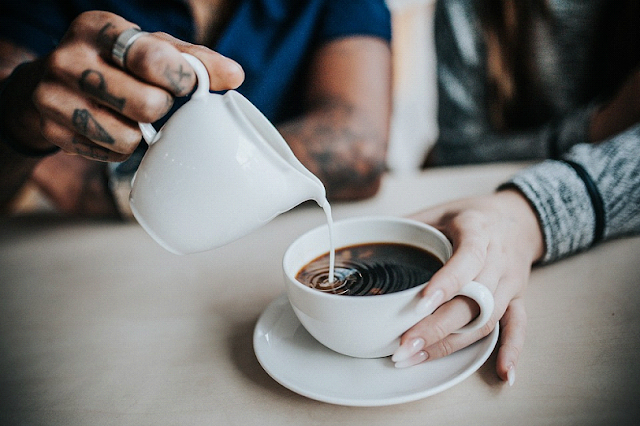 Of course, your cups of coffee will get better with practice, so be sure to hone your coffee making skills to reach the end goal of creating the perfect cup!